OXFORD – Two people were sent to the hospital following a single car crash on Sunday night in Oxford. 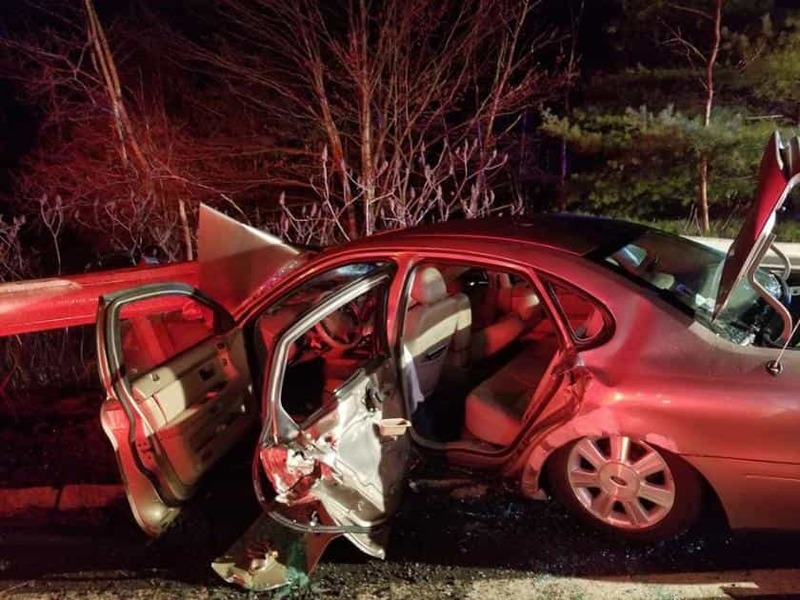 Around 8:30 PM on Sunday, April 14, Oxford FIRE-EMS, Oxford Police and Massachusetts State Police responded to reports of a single vehicle accident on Sutton Ave.
First responders found the vehicle — a Ford Taurus — on Depot Rd on the southbound on-ramp of I-395. 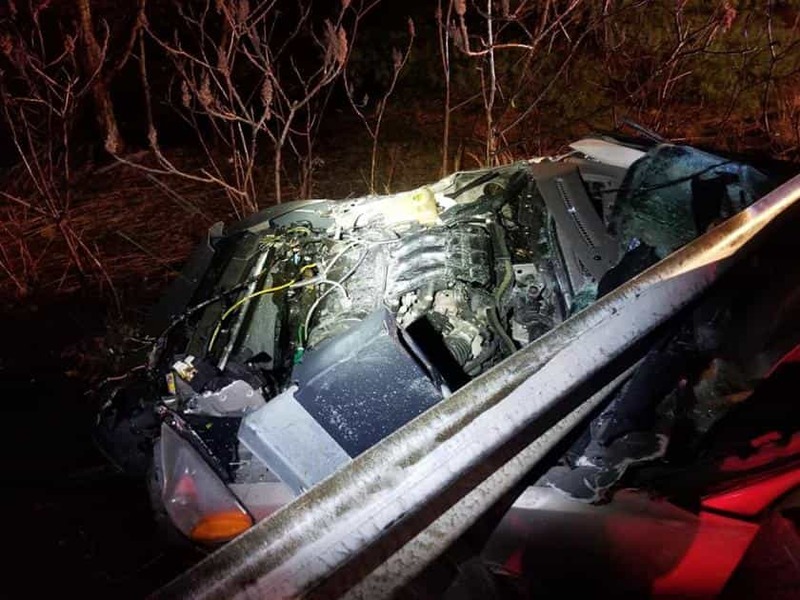 The vehicle had struck a guard rail and was heavily damaged, according to Oxford Fire-EMS. One of the occupants was trapped and had to be extricated from the vehicle. Crews used specialized hydraulic tools to remove a door from the vehicle to remove the patient. The other occupant was able to exit the vehicle on their own. Both occupants were transported to the hospital for specialized care. 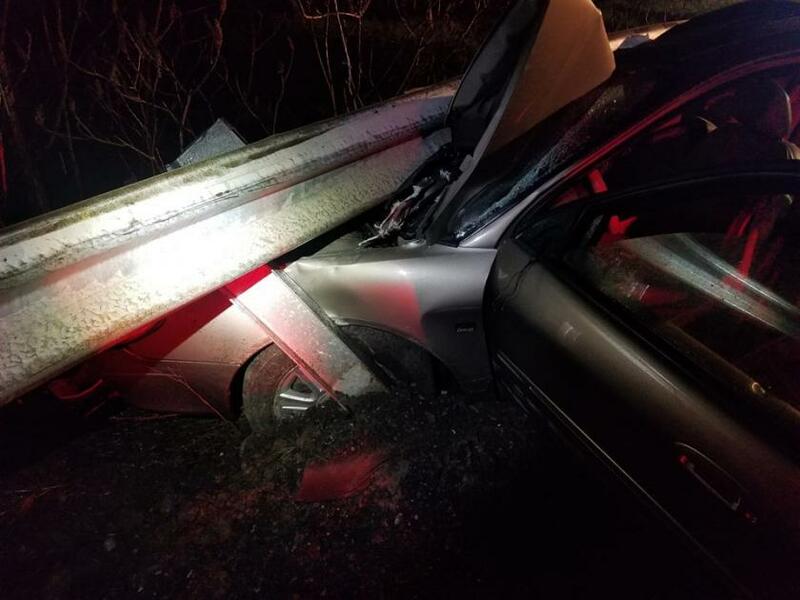 Fire crews had to remove the guard rail so that the vehicle could be removed.